Since the First Gulf War in 1990, names like Basra, Tikrit and Baghdad have been the staple of news bulletins, and it seems likely that there will be a substantial British presence in Iraq for years to come. What is not generally known, however, that British, Dominion and Empire troops also fought and died in this region during the First World War. In this hauntingly topicSince the First Gulf War in 1990, names like Basra, Tikrit and Baghdad have been the staple of news bulletins, and it seems likely that there will be a substantial British presence in Iraq for years to come. What is not generally known, however, that British, Dominion and Empire troops also fought and died in this region during the First World War. 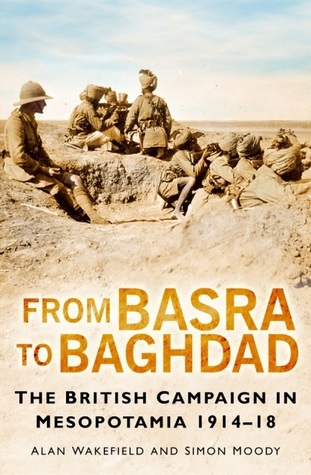 In this hauntingly topical book, First World War historians Alan Wakefield and Simon Moody describe the progress of the first British campaign in Iraq. They draw on a wealth of primary source material including rare archive photographs, much of it unpublished, to reconstruct the ordinary soldier’s experience of campaign life in this extraordinary environment.